These are some damn good cookies. 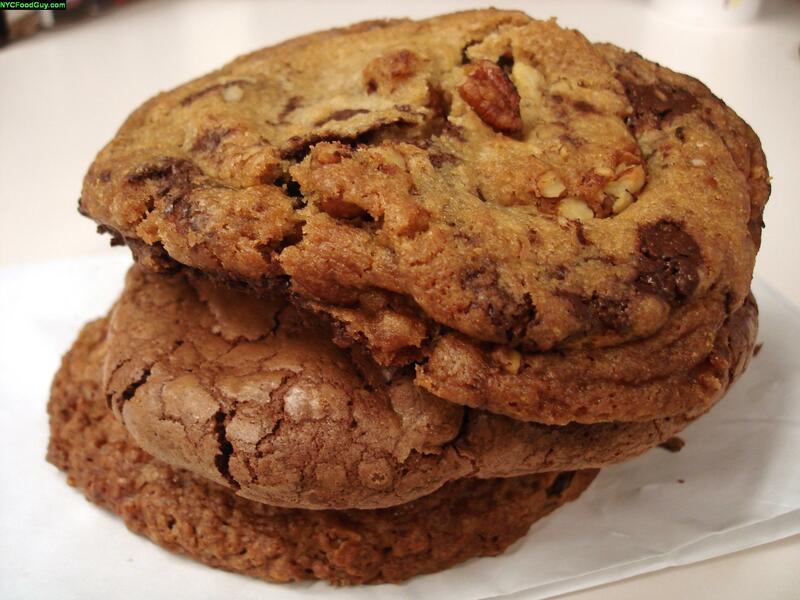 Petrossian, the company known for importing Russian caviar, also operates a Cafe/Bakery on 7th Avenue between 57th & 58th Street where they sell three varieties of fresh-baked cookies: Chocolate chip pecan ($3), Double chocolate walnut ($3), and Oatmeal raisin with walnut ($2). Each cookie is delicious, but collectively they still don’t top Levain as the best cookies in the city. Read on to find out why. Special thanks to Sweet Freak for the discovery.